Yes, this is ancient by now but I couldn't just ignore a song/video featuring Britt Love, one half of the now defunct English synthpop group Mini Viva. The song, the very Frankmusik-esque "You Don't Want To Dance With Me," originally appeared sans Britt Love on Around The Sun, the debut band from NOT defunct English synthpop duo, Monarchy. You might actually already know Monarchy from their remixes of top artists like Ellie Goulding, Kelis, Lady Gaga, Marina & The Diamonds, Jamiroquai, Kylie Minogue and more (that's where I recognized them from, anyway). It was released as a single on October 31st in the UK via 100% Records and is all about a "love ignored." Below, check out the simple yet effective video, released September 21st on the band's YouTube channel. 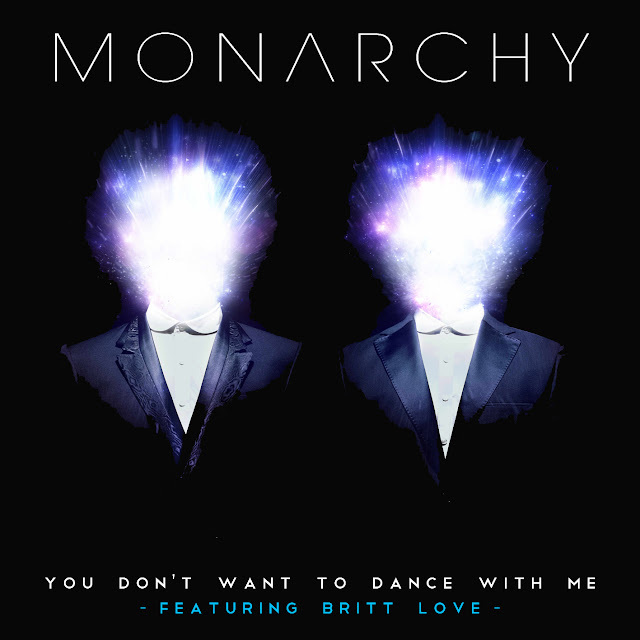 Featuring Monarchy and Britt Love spinning around on some sort of rotating platform dressed up for a masquerade ball, the video relies heavily on lights, shadows and minimal special effects. Truly stunning - particularly Britt Love in a ravishing red gown. As much as I miss the glory that was Mini Viva, I'm happy that Britt Love is keeping busy. Definitely can't wait to see what she does next. Download "You Don't Want To Dance With Me" on U.S. iTunes HERE, along with remixes by Moonlight Matters, Bondax, Meridian, Vivien, Picture House, Kezokichi and Dusk. You can also snag the album, Around The Sun on U.S. iTunes HERE and listen to "You Don't Want To Dance With Me" in it's original form.